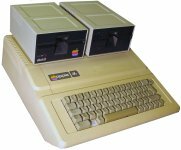 The IIe was a popular development of the Apple II and II+. 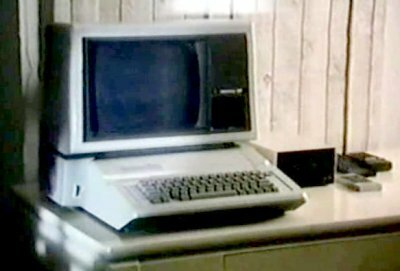 It featured higher level integration, improved video capabilities and more memory. 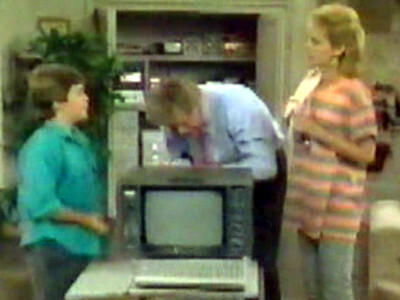 Paul, one of Chip's classmates, shows off his computing skills using the Apple. 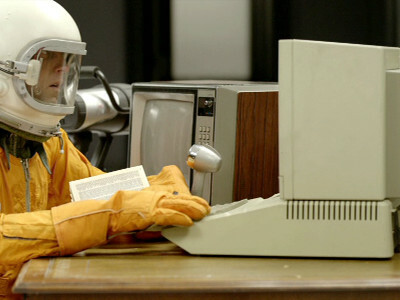 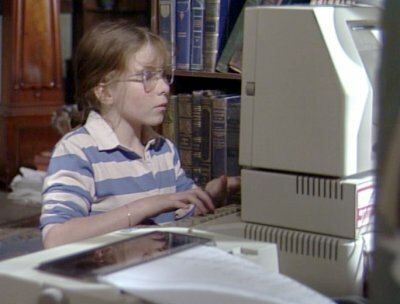 Albertine has an Apple computer at home which she uses in her mathematical research. 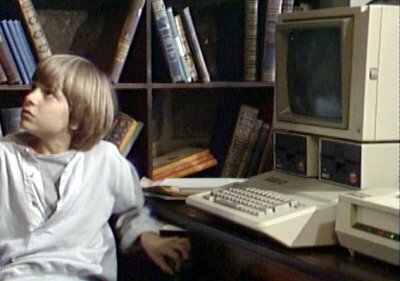 Luke, one of Dr Deacon's cronies, breaks into Albertine's house and steals some floppy discs which he thinks proves Chocky's influence on her. 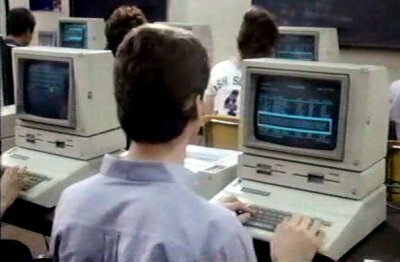 The University lab is populated with a number of Apple IIe machines. 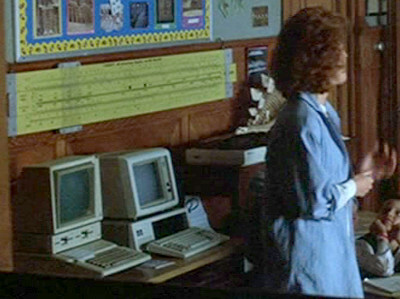 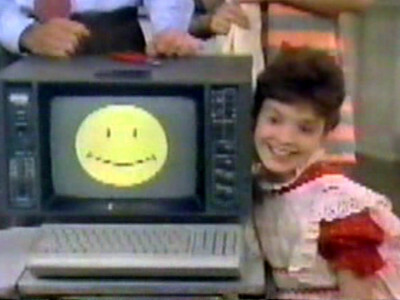 A PC and a Apple IIe appear at the back of Carol Anne's classroom at school. 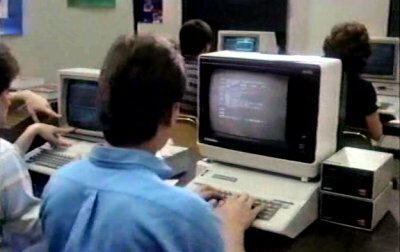 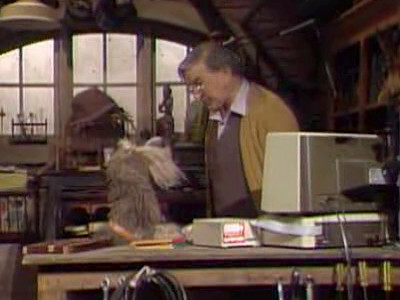 Doc and Sprocket challenge each other to a game on Doc's new Apple IIe. 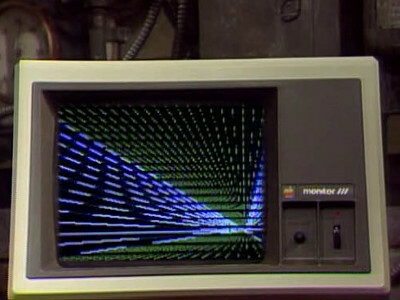 The game is an invention and the attached Monitor III is shown as having colour graphics when it was green screen. 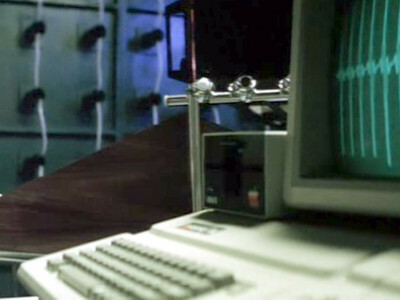 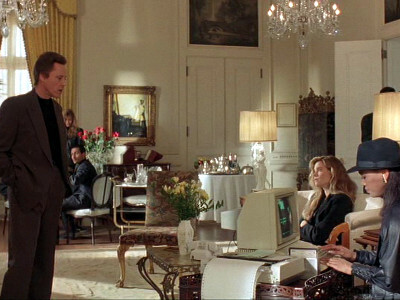 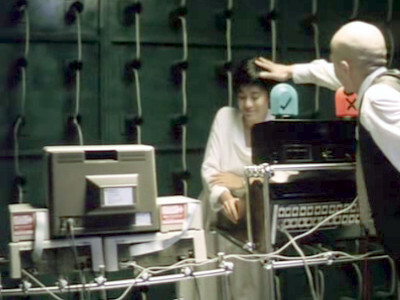 Lee ends up in a real or imagined computer room in which he interrogates the mainframe using an Apple IIe as a terminal. 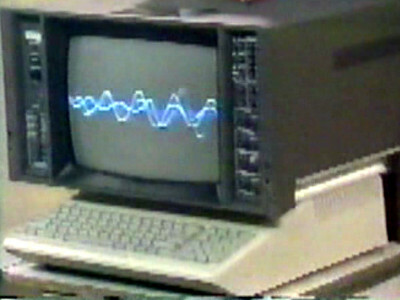 Two Apple IIe's appear as part of a sophisticated lie detector that are used to interrogate both King Kong and Baldy. 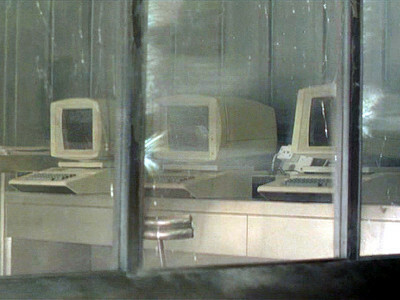 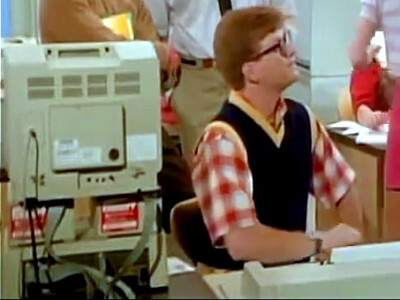 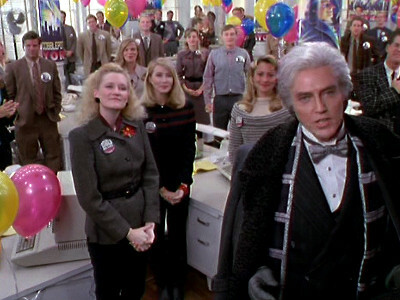 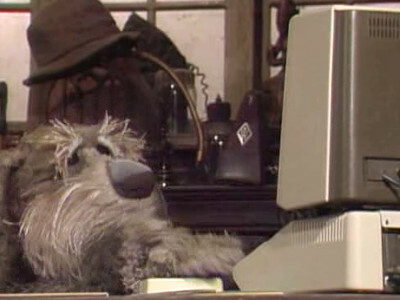 Max's offices, where the Penguin's mayoral campaign is headquartered, is equipped with a number of Apple IIe machines. 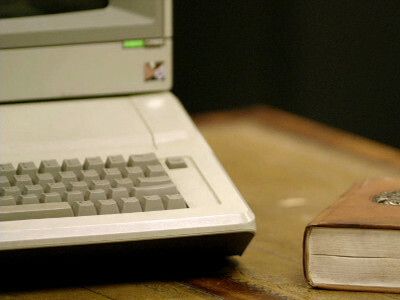 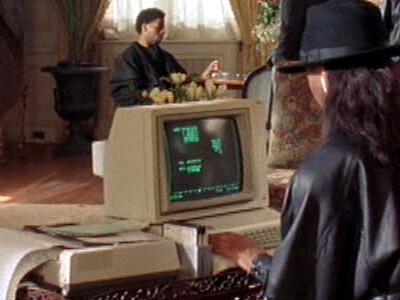 One of Frank's associated uses an Apple IIe, presumably for bookkeeping.